I just made the most delicious discovery!!! (And I can’t believe I’ve never thought of this). 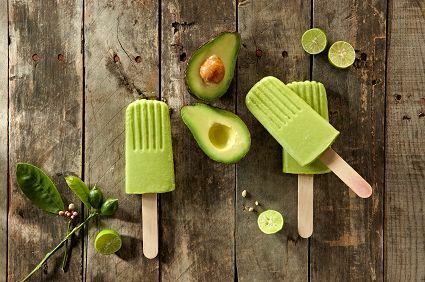 I was scrolling through my Pinterest feed and saw a picture of an avocado popsicle, clicked it, clicked something again, got lost surfing and saw a tip written somewhere about sticking a bbq-stick or toothpick in a banana before freezing it and Voilà! Banana popsicle! I have lots of bananas in the freezer because of the 30 Day Green Smoothie Challenge I’m participating in so I took one out, forced a stick in it (it worked, but I recommend you do it pre-freezing) and tasted it. It’s ridiculously good. You have to try it! 1. Combine all ingredients in a blender and process until smooth. Transfer to Popsicle molds. 2. Freeze for at least 24 hours before serving. Tags: healthy dessert, healthy snack, popsicle, recipe. Bookmark the permalink.